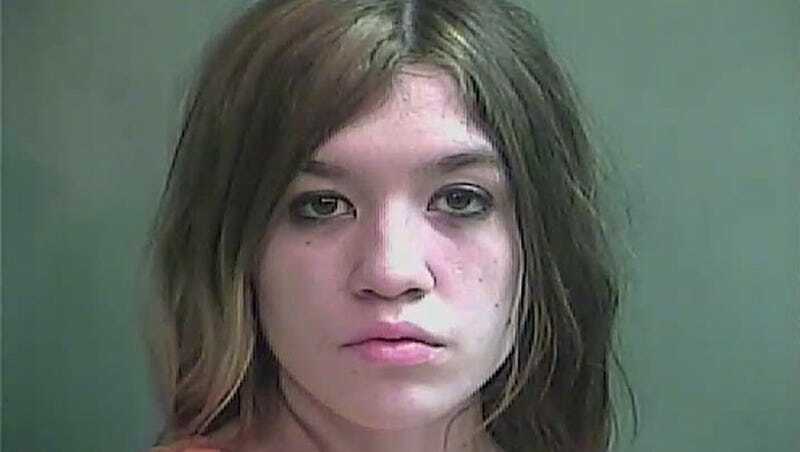 A 17-year-old girl from northern Wisconsin was arrested in Indiana this Sunday and charged with two counts of first-degree intentional homicide for the the murder of her mother and step-father. Ashlee Martinson, alonside her 22-year-old boyfriend Ryan Sisco, allegedly fled her home near Rhinelander after shooting Thomas Ayers, 37, and Jennifer Ayers, 40, and leaving her three young step siblings locked in a room with snacks and juice. Sheriff's deputies responding to a 911 call found three young girls and the couple's bodies in the Town of Piehl residence about 10:40 a.m. Sunday, according to the complaint. The girls were not injured, authorities said. Investigators said the oldest girl, age 9, told them Martinson killed her parents. The girl said she was in the living room with her stepmother, Jennifer Ayers, and heard two gunshots. The stepmother ran upstairs. The girl followed and saw her fighting with Martinson, according to the complaint. The girl says Martinson put her and the two other girls, ages 2 and 8, in a room and tied the door shut so they couldn't leave. She said Martinson placed food and juice in the room for the girls, according to the court document. "Unworthy," dated March 2, discusses rushing though woods late at night, "into the darkest corner where the agonizing screams cannot be heard. Marveling at the sweet horrors of blood that I thirst for." It continues about restraining an unidentified young female, cutting around her mouth, pulling out her nails and stabbing her in the eye and finally burning the victim with gasoline. "The screams are exhilarating, making the fire of hatred for her burn within my heart so much more greater." Of course, lots of teens write violent fiction and manage to never kill their parents. Police do not believe that Sisco was directly involved in the murders. Both he and Martinson are being held in Indiana and await extradition back to Wisconsin.